Our experience will help you through the process of arranging a funeral in Blackley Village. We have arranged many funerals from our two locations but it’s likely you have little to no background in funeral planning. Unfortunately, this is a time when you really don’t feel like learning anything new. You may be tired and grieving which slows your decision making capabilities. Our calling is to come alongside and guide you through decision choices right for you and where possible, relieve you of as many details as possible. Each funeral is as individual as the deceased and survivors but many of the steps that must be taken are the same. Throughout the planning we protect your budget guidelines because it’s easy to unknowingly spend more than planned. When a loved one dies in hospital or at home, family is usually anxious to have the remains placed quickly into our care. For that reason, in Blackley Village arranging a funeral begins as we immediately collect the body, day or night. There are legalities to be attended to immediately and we manage as much of that as possible and guide you through those you must attend to yourself. Regardless of your budget, everything necessary will be attended to with dignity and sincere care. We will begin with your decisions for burial or cremation, religious or secular and the length of time over which you extend the arrangements. Once that decision is made we will guide you through the personalisation that will honour your loved one. Funerals are an important time for those who survive and are tasked with arranging a funeral in Blackley Village. 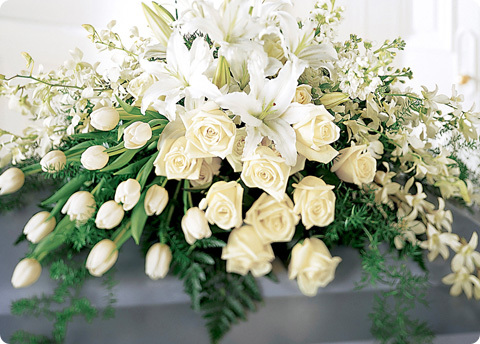 We encourage our clients to make the funeral a personal and meaningful expression of their affection and grief. It should include input from immediate family members so all can benefit from this first step toward acceptance and healthy grieving. Do it your way and according to your budget. 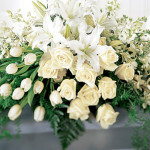 Visitors and well-wishers in attendance are comforting but the funeral arrangements are not intended to impress anyone. The purpose of a funeral is to bring comfort to the family. Contact Cope Funeral Service when the task of funeral arrangements fall to you. We will walk beside you from beginning to end.